Every now and then, you just want to escape the cynical world around you and delve into a little bit of celebratory saccharine sweetness to make you a bit happier to be alive. Enchanted is a great film to unwind with, as I quickly found out tonight after this movie arrived in the mail and I decided to put it on in the background of my household cleaning, only to find myself laying down on the couch and absorbing the infectiously fun fish-out-of-water fairy tale about a naive princess who is transported into our world after being pushed down a magical well by an evil queen, only to find out that true love isn’t always at first sight. 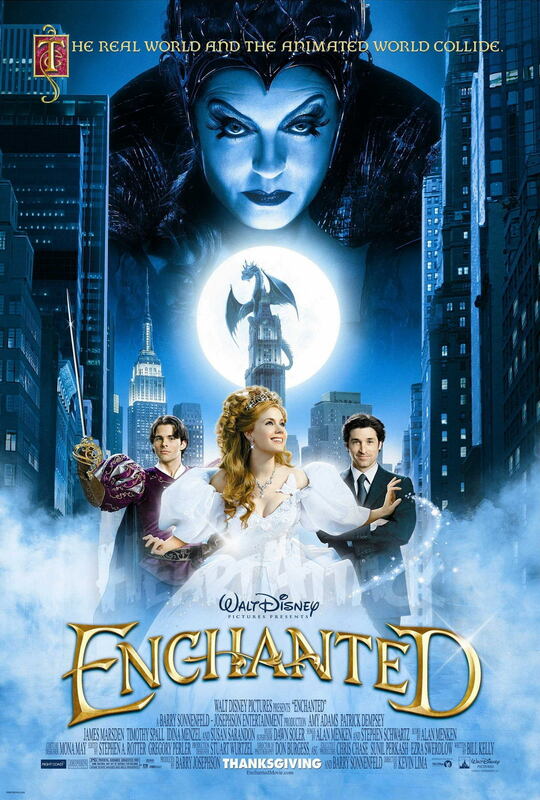 If you are somehow unfamiliar with the story, Enchanted plays out a bit like an amalgamation all the previous Disney fantasy films combined into one synergistic package that will undoubtedly have you waxing nostalgic and, Disney hopes, buying more of their products. Giselle is a young woman living in an enchanted kingdom filled with talking animals, ogres, and magic, and she who longs to one day find love in the arms of a dashing young man who will sweep her off her feet and ride off into the sunset. When that wedding day, however, Prince Edward’s jealous stepmother, a sorceress who is threatened by Giselle’s sudden intrusion into her life, disguises herself as an old woman and tricks Giselle into coming with her to the previously mentioned well. Arriving on the other side, Giselle finds herself in a strange new land with strange sites and inhabited by animals who aren’t able to talk and people who aren’t quite as friendly as she’s used to. 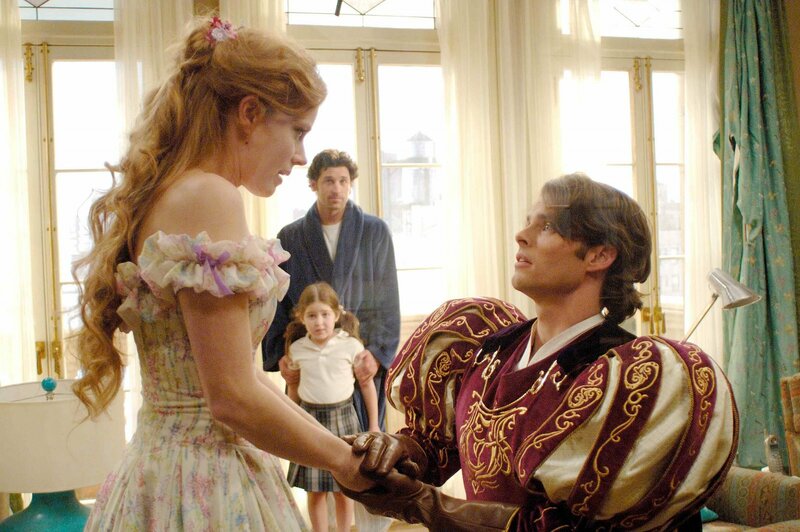 Of course, this place is New York City, where she eventually is helped out by a handsome (and engaged) divorce lawyer, Robert, and his little girl, Morgan, who is instantly – yes – enchanted by Giselle. It’s not long before Robert starts to fall for the naive Giselle, who insists that the prince will come looking for her, even though her own feelings are starting to turn more towards Robert than to the heroic but undoubtedly daffy Prince whom she barely knows. If you can’t see where the plot is going, then you haven’t seen enough movies. Had this not been a celebration of fantasy romance and Disney Princess magic, this could have easily been just any ordinary romantic comedy where two formerly betrothed individuals realize that they may be making a mistake. The cynic in you will want to cringe upon hearing the film’s first song, “True Love’s Kiss,” as Amy Adams’ animated form blissfully lilts about her little cottage with her animal friends as she attempts to find the perfect fake lips for what would otherwise be a mildly disturbing effigy of her imaginary true love. 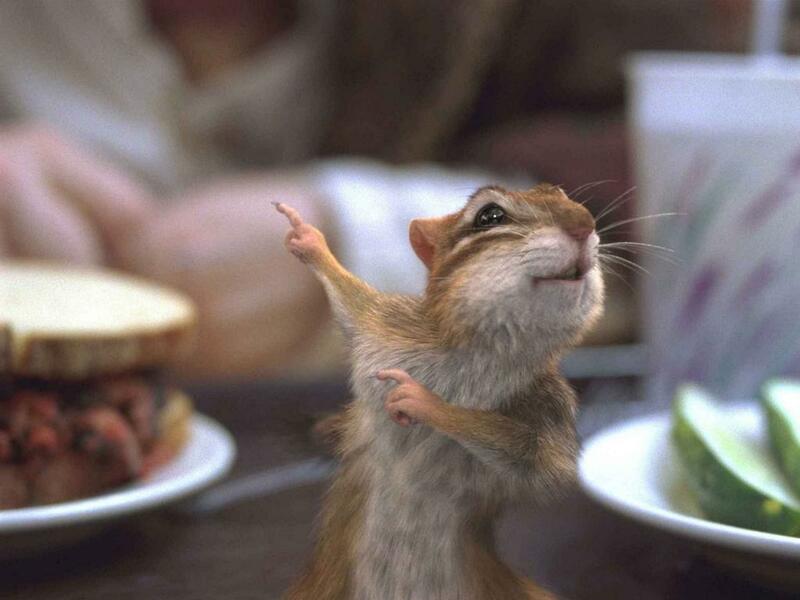 Oh, did I mention that this film has songs? It has several, in fact, each written by Disney vets Alen Menken and Stephen Schwartz, including the aptly named “Happy Working Song” (which, despite its lyrics, never did get me going on my own housework) that recalls the scene in Snow White where woodland creatures help the princess with tidying up the cottage (here it’s a New York apartment, and cute deer and rabbits are replaced by the appropriate fauna for the area — rats, pigeons, and roaches, primarily), and the Oscar-nominated “That’s How You Know,” which sees Giselle belting out a calypso-inspired tune that recalls “Under the Sea” and results in all of Central Park taking part in an elaborate and spontaneously choreographed song and dance routine where everyone knows the lyrics and is perfectly in sync. That’s the thing about the film itself, though — it’s just that infectiously joyful of an experience, you can’t help but be dragged into the story and delight in the colorful characters on screen. Amy Adams plays Giselle without a hint of irony in her innocent and joyously friendly character, and even when she starts to acclimate to her new environment, she never loses that twinkly spirit, either. You can’t help but be endeared to the character as she cheerfully compliments everyone around her for their best qualities and then breaks down in tears when she learns that one of Robert’s clients tragically intends to forever separate herself from a man she once considered to be her “true love.” The story also takes the time to elaborate on certain moments like this, such as when Robert tells Giselle about the reason why his daughter’s mother is no longer at home, carefully addressing sometimes painful reality and countering it with the warm embrace of optimism at the heart of the film. And though it is largely a love letter from Disney to itself, throwing in more references to its animated films than I really care to list in this review, Enchanted is still an incredibly fun experience. The film signaled a return to hand-drawn animation for the studio, with animated segments taking place in Giselle’s homeland of Andalasia, and it also harkened back to a not-too-long-ago bygone era when Disney was still making excellent Broadway-style musicals and fantasy films. 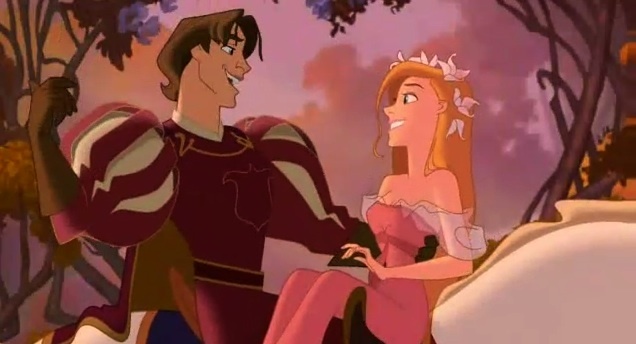 Though The Princess and the Frog and Winnie the Pooh have since ended 2D animation’s absence from Disney feature film canon, the unfortunately brief animated segments in Enchanted are still wonderful to look at. The songs are a perfect mix of old school Disney magic and that amusing self-aware quality that we all seem to like these days, making them more palatable for those who may otherwise squirm at the thought of spontaneous bouts of singing and waxing romantic. If there’s any one point of contention, it’s that the film’s climax is resolved a bit too easily and hastily, given the build up, and that results in the great Susan Sarandon largely feeling under used, being mostly relegated to brief animated sequences. This negates much of the scariness of Queen Narissa and leaves the film perhaps feeling a bit too sanitized for the PG-rating. I honestly enjoy Enchanted probably more than most 20-something males, but I’m not ashamed to admit that I bought this film for myself and for my own viewing pleasure, and I’m perfectly happy to add it to my Disney collection that includes other such films like The Little Mermaid and Lady and the Tramp, too. Cynics and princess-haters be damned. Even if I would probably prefer that my own future daughter would look up more toward characters like Merida or Mulan or, I guess now Princess Leia, there’s nothing wrong with a bit of optimism and romance, even if one must face the harsh realities of life eventually. 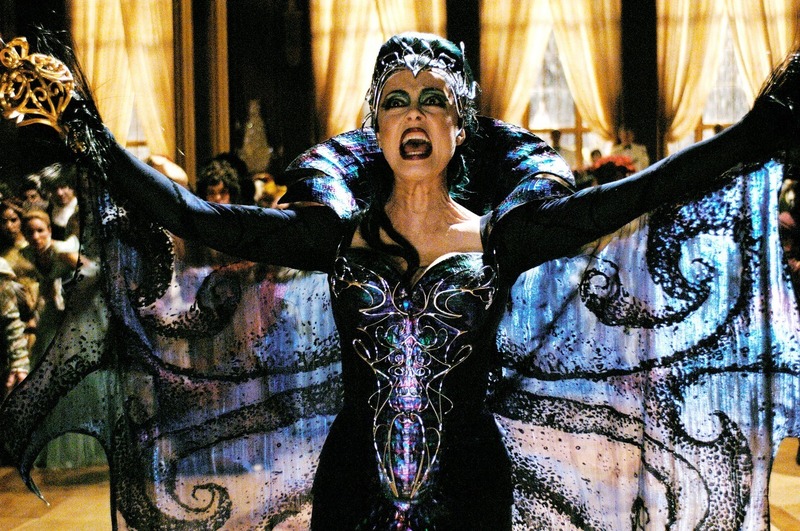 Enchanted is one of those films like Elf where you really just gotta get yourself in the mood and get sold in the joyful experience playing out on screen. Seriously, just go watch it and have some fun, for once.